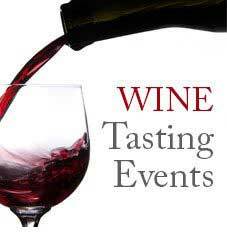 Tastefully simple online promotion for your next wine, beer or spirits tasting event. Search engine optimized and private-branded event pages, social shareability, and mobile accessibility put your event on the tip of everyone’s tongue. As smooth as sipping single malt, Ticketstripe lets you organize, promote, and sell out your spirits tasting event from one easy-to-use ticketing system. Real time reporting and fast payment processing eliminate the morning-after headache of tracking your success. Want your event to sparkle? Ticketstripe offers integrated social media sharing to let the good times flow and make it easy for guests to buy tickets online with mobile accessibility that uncork their wallets. From start to finish—the perfect event begins with the perfect plan. Eliminate unnecessary hassles before they sideline your show. Identify, target, and engage your perfect audience. Generate buzz and let the social network work for you. Streamline your day-of responsibilities to keep your event as low-key as possible for you and your staff. Your audience is everything. They should be top-of-mind at all times because if you don’t target the right one and can’t engage them in the promotion phase, your event won’t be as successful as it could be. Target your unique audience with laser-focus and clarity. They’ll be some crossover (most beer aficionados would be more than happy to spend an hour or two sampling craft cocktails) but beware of over-reaching. Step 1 is always to identify your ideal guest. That target audience will dictate everything you do from this point on. To do that, make sure your event isn’t suffering from split personalities. 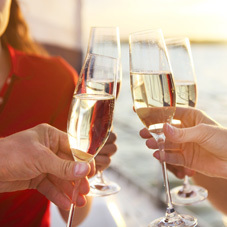 Is your event a wine dinner? A charity fundraising wine tasting? 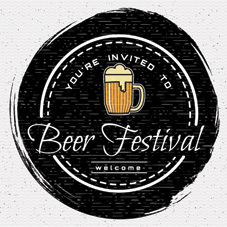 A fun beer festival? 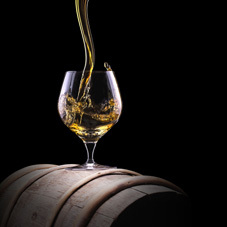 A craft whiskey tasting? Whatever it is, distill that theme down to its essentials and use that core as your first building block. How hard will it be to target a specific audience? A lot easier than you think. Social networks (like Facebook) make it easy to segment large groups of people into target audiences. In some cases promoting your event to the right people is as simple as tapping into the right social group. Did you know that digital advertising can actually save you money? Digital marketing trends (like Pay Per Click advertising and social media adverts) make it easy for you to spend as little as you need to ensure your promotions get in front of the right people. Audience segmentation, split testing, pre-selected target groups, and the ability to control the time, frequency, and manner in which your ads appear will allow you to minimize your spending while maximizing the impact. Always inflate your budget a little farther than you’re comfortable with. There will inevitably be surprises that will catch you off guard and require additional funding. That means accounting for last minute SNAFUs with vendors, venues, and contractors. Selecting the proper venue for your beer, wine, or spirits events involves more than simply calculating your estimated guest total. It may involve special licensing, additional contract stipulations (such as having venue staff on hand), and other critical components that should be addressed very early in the planning process. Of course you’ll also want to make the venue is easy to get to and enjoyable for your guests. Look for existing structures (conference centers, parks, concert venues, etc.) that are near to transportation such as highways and hospitality resources (hotels, motels, campgrounds, etc.). It’s helpful during this part of the planning process to picture yourself in your guest’s shoes. Can you justify the hassle of getting there by balancing the reward of the experience? If not, you might need to tweak a few things or your event will be under-attended. The ticketing system you choose can make or break your event. You want something that offers the functionality you need on the back end but easy enough for buyers to use. You also want trusted financial transactions and the ability to pass that feeling of safety and security along to your guests. If you don’t have any one of those things, your ticketing process can break down in an instant. Ticketstripe was built to give event hosts the robust ticketing system they need while still remaining easy-to-use. It provides safe, secure transactions for both event planners and ticket buyers while offering logistic solutions to help you plan, modify, and even expand your next beer, wine, or spirits event. What makes Ticketstripe different than other online and mobile ticketing platforms? Ticketstripe doesn’t just allow you to easily process credit card transactions. It gives you the ability to pass Credit Card merchant fees to the buyer. This saves you a ton of money in the long run and makes your event more profitable. Additionally, you can also pass Ticketstripe’s low service fees to ticket buyers by incorporating that cost into the total cost of a ticket. This seamless process maintains a positive value impression for your guests while saving you money. And speaking of money, Ticketstripe features 2-Day Rolling Deposits which means that the money from your ticket sales is in your account two days after your guests click that buy button. That gives you quick access to cash-on-hand that you can use to pay vendors, venue fees, reinvest into more advertising, or use to make your event even bigger. If this is your first event or you simply want to give Ticketstripe a try, there are no merchant accounts, binding contracts, or set up fees. Ever. Ticketstripe also assists with your digital marketing efforts by giving you fully customizable landing pages which are search engine optimized, branded, and mobile responsive. These event pages have unique URLs that you and your guests can promote on social media outlets like Twitter, Instagram, and Facebook. Plus each page has built-in social sharing buttons to make that all-important post so much easier. And all of this high-end promotional functionality is provided at no additional cost to you. There’s no bait and switch here. Every Ticketstripe account comes with this essential, free marketing technology. But what good is a ticketing system that doesn’t let you keep track of sales in real time? When you’re planning a large event you can’t wait days to see how many tickets you’ve sold. That’s why Ticketstripe offers real time reporting—essential, actionable information so you can ramp up marketing or expand parking or vendor space to accommodate more guests than you had planned for. But what if you have multiple sources promoting your beer, wine, or spirits event? Ticketstripe lets you use multiple event promoters and track not only their sales but their effectiveness as well with similar Real Time reporting. That’s critical when deciding which promoters you’re going to allot more resources to or for awarding those who have gone above and beyond their initial ticket quotas. Even if your event is free to attend you still need to manage attendance. You need to know how many people are coming, have a guest list available, and know if your online promotion efforts are actually working. That’s why Ticketstripe is free and essential for every free beer, wine, or spirits event. From wine release parties, to intimate dinners, to world-renowned whiskey or beer festivals, Ticketstripe supports ticket sales for events of all shapes and sizes. You have a plan in place. Now how do you ensure your beer, wine, or spirits event is well attended? Promotion is absolutely essential (and easier than you might think). Ticketstripe’s search engine optimized, mobile responsive event pages are the cornerstone for all your event promotion efforts. These pages contain the essential information your potential guests need to know, are easily shareable (by you and them), and can be created in a matter of minutes. All you need to do is plug in the details such as the date, time, and location of the event, a description of the event, and any sales copy to push a potential ticket buyer over the edge and get them to commit. In order to make your event as profitable as possible, it’s a good idea to provide multiple ticket prices including discounts for early sales, enhanced upgrades or VIP packages, and base rates for average event goers. By having multiple ticket prices and package tiers you can more easily convince average event goers to buy tickets in the first place and persuade them into upgrading their event experience. Don’t know what to charge? Take a look at similar beer, wine, and spirit events in your area to see what other event promoters have charged. Does this fall in line with your financial projections? Is it too expensive for your target audience? Is it too cheap to weed out “non-qualified” guests? These factors should all play into setting the perfect ticket prices for your event. Hashtags are still an essential part of digital promotions. Create your social hashtag and feature it prominently on all your digital marketing channels—Facebook page, Twitter feed, Instagram account, and your Ticketstripe event page. This hashtag will allow any potential event goer to quickly and easily find more information about your event as well as interact with other people who are talking about your event. Build that buzz! Having a ready set of imagery, text, and/or graphic assets ready to go at a moment’s notice will make your marketing much easier. These types of media can be used across platforms (from web landing pages to inbox emails) to create a unified look and feel to your marketing materials and make a more powerful impression. But you don’t have to spend a lot or hire a full time graphic designer or copywriter to get this sort of material. You can create this stuff yourself with a little time and effort, hire a freelance worker from a “gig economy” website, or use existing media you already have. The key is to present a unified image rather than a mishmash that you throw together at a moment’s notice. Finding the right sponsors and influencers can be a tremendous help. These individuals, groups, and businesses will take on some of the work of promoting your event themselves or give you the assets, monetary support, or media contacts you need to succeed. The key is finding the right sponsors. You want to engage individuals and businesses that have a real stake in the success of your event. For example, a local wine shop may be very aggressive with marketing if they sell a brand of wine that you’re featuring in your next wine tasting event. Media partners are also an excellent resource on which you can draw. Newspapers, radio stations, television broadcasters, and even local magazines can reach your audience better than you could alone simply because they have access to a ready-made network. To make their jobs easier, create a “cheat sheet” of concise notes, themes, and verbiage for them to use as a quick reference. While digital marketing is cost-effective, you’re going to miss some of your key audience members if you don’t advertise in a more traditional manner. That’s why you should always take a multi-pronged approach to your event promotion. Use social media, email lists, press releases, and physical advertisements to reach your audience. If you’re working with a tight budget, you can always pick and choose the marketing methods to use. Just do a little research first to find out which method your target audience prefers. Host Your Event and Have Fun! The planning is done, the promotion is (almost) over, the tickets are sold, and your guests are arriving. Now it’s time to play the perfect host! For large events you’re not likely going to keep a specific guest list on hand at the door. However, you will want to have easy access to the guest list in case there are any problems with ticketing. For smaller events, a guest list becomes essential. You want to know who, out of all the ticket buyers, actually shows up at the door. These are the people you’ll spend more time marketing to when it comes time for your next event! You can go the old fashioned way and print a guest list to be checked off by your greeters. However, if you’re using Ticketstripe, our mobile application gives you access to a digital guest list with the click of a button! Make a record of the day’s events. That includes keeping notes about what worked and what didn’t, interviewing guests to get their feedback (crucial for improving future events), and take pictures and video. Those photos and videos can be used as marketing material for your next event and are easily shareable on social media! You may even want to hire professional photographers and videographers to record your next beer, wine, or spirits event for you. And (if your event is large enough) you might consider a drone photography company to get the full picture! Guest feedback is how you find out what worked and what didn’t. If you don’t take advantage of the guests who come through your doors, you’re missing out on a powerful resource. You shouldn’t launch into a full interrogation but asking a few open-ended questions can help you figure out what they liked and what they disliked. And to get people talking, offer premiums or freebie giveaways for feedback participation. Don’t drop the social media ball. All throughout the day and in the days and weeks following your event actively search and promote user-created content on social media sites like Twitter, Facebook, and Instagram. By engaging directly you give your guests a sense of connection with you and your brand and that connection will help reinforce a positive impression of you event. A detailed post-event wrap-up will help you learn how to make your next event even better. Throughout the process (from planning to clean-up) you should be keeping notes and records of how things went and opportunities for improvement. When the dust has settled, sit and review those notes to spot opportunities. Keep that bullet list of changes handy because they’ll become absolutely essential when planning your next beer, wine, or spirits event.